I think he will open a new store in Paris as well. In rue Cambon. thats interesting nqth, thanks for letting us know. i liked his left bank store, but have never liked the right bank one - it's pretty aggresive, and intimidating. very few clothes around, grumpy staff. (Once they wouldn't let me go upstairs where I could see they had the Y's collection out, whereas downstairs they only had about 4 jackets - literally; sometimes they need to remember that they're just selling clothes....). by the way - did you ever find out about those junya shoes? Now that's a good picture, Laika! Here's two that I also like. And naturally do show us a picture of the new store when the construction is complete! Buckwheat I had no idea Wim Wender's wife is a photographer! Some great pictures on that site. I think there is a kind of double effect with the clothes--they do require a certain level of comfort and "letting go," as you're suggesting; but they also bring out a sensation of ease in the wearer. The serenity that Faust is describing....it seems to me that it has to do with letting go of "fashion" and self-image and experiencing the sensation of wearing, living, and moving in your clothes. It is no wonder that Yohji has collaborated so successfully with dancers, as opposed to Rei, who, (in at least one collaboration that I know of), is more interested in imposing constraint with her clothes. I was thinking about this while trying on clothes at CDG this weekend. There is something almost fascistic about the way that Comme deals (or doesn't deal) with the body, as if the garments were intended either to take the wearer out of their comfort zone, or to disregard the wearer altogether. To put it another way, CDG clothes are all about CDG clothes, whereas Yohji's garments are deeply concerned with, and committed to, the human form. I find both approaches conceptually fascinating, although I tend to feel a bit resentful/rebellious when I sense that something is being imposed on me. Both designers technically work well for my body, probably because of the Japanese sizing. But I feel less self-conscious and [paradoxically?] more myself when I wear Yohji. but does one really have to adhere to a designers vision? i know that yohji's silhouette is generally a bit relaxed oversized, but i'm sure if you really like yohji's clothing and admire his designs, you could find a piece a few sizes smaller to have it fit with your overall aesthetic. Not really. If the jacket is cut loose in the body but fits you well in the shoulders, what are you going to do (besides tailoring it)? ^I agree with Faust that sizing down is usually not a practical strategy. Also, wearing the clothes smaller can alter their proportions and the way they move in ways that may not be desirable. yeah, i didn't mean that as a catch-all solution. i guess i was speaking to garments that are just oversized i.e. some ann d shirts that could be worn in smaller sizes that circumvent the general vision she had for that piece. i know that blackforest mentioned in another thread a while ago about how he modified a cdiem shirt and got compliments for it. albert's modification of the linea jumpsuit is also great too. i myself probably wouldn't do any major alterations to a piece, but it's still an option that could have really great results. I had a talk lately with a Polish fashion designer about European and Japanese designers.I said about the sharp elegance and "armour" ppl wear going to Comme show. She said the Europeans dress for looking beautiful in general (ok, let get VW and her children out of here) but the Japanenes are indeed making kind of "armour":-) - ignoring body, hard to wear, strange fabrics, not very comfortable... This might be bc of the culture, the theater ... that Japanese designers might be under influence. She stated thatEuropeans can never make clothes that way, this is out of their thinking. It's very interesting:-) A friend of mine, a Japanese girl also said that you have to suffer in Comme clothes:-)) (talking about shoes). 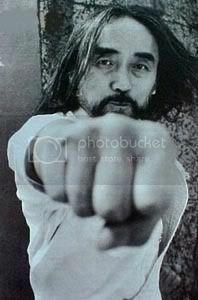 Funny you should say this, nqth - Yohji's clothes have never struck me as Japanese, but old European. In Notebooks on Cities and Clothes he shows the old photo books of professional men that he draws inspiration from, they were all European. So, in that sense I fully agree. is karate chopping a swath through retail, store by freestanding store. Meatpacking store in New York has been pushed back to spring 08. Wow! 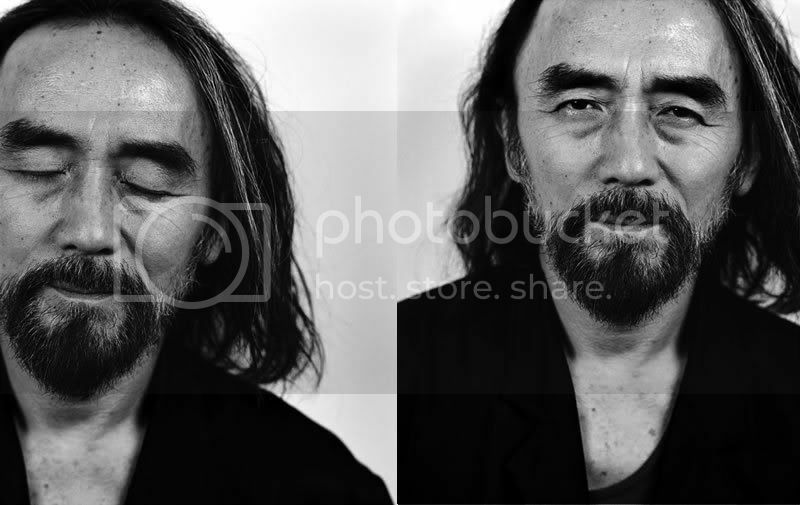 Yohji is quite on the spending spree; I love it.I just hope he doesn't go too far... I'd hate to see the headline, "Yohji Yamamoto signs with Ittierre for production of "Yohji Jeans" diffusion" or the release of a fresh, sporty, clean new fragrance, "Yohji Sport," designed to target Acqua di Gio! Yohji had a lot of success last season with his women's collection - a lot of pieces sold out at full retail. His new luggage line should help fund a lot of these new construction ventures. I think I'm going to plan my first trip to Antwerp when his new store is finished. WIll keep you updated on its status. I was reading some of the great earlier discussion (comparing and contrasting Yohji and CDG). While I am not that familiar with Yohji's clothes (more so with CDG), I have really grown to admire how his clothes fit. I was wondering if you would you say that throughout the years, Yohji has maintained the same fit/shape of his clothing and has progressed artistically as a designer by concentrating on the external surface look of his clothes? (I don't mean this negatively at all). For example would it be fair to say that clothing from the lates 80s made by Yohji, while externally looking different to his current line (different fabric, exterior design and decoration, and perhaps thematic presentation), is rooted in a very similar architecture and structure on how it hangs/formed to the body. Like Laika and others were mentioning before, CDG (like many other contemporary designers) are all about playing with the structure of clothing (in both restrictive and additive ways), but when I look at Yohji, all of his clothes seem to have a cohesive architecture. in terms of lines, it's kind of interesting also to note that Y's was his first line before Yohji Yamamoto--but Y's today seems to have its own (quieter) identity, separate from the Yohji line which receives more attention from the media? personally i really enjoyed browsing and trying on the Y's pieces; they're really interesting to touch and wear. I remember that someone (goethe?) posted a CDG world, showing how all the lines interlink. Can we create something like that for Yohji? What does the line specialize in, sizing and price-point.